Limited watches are limited edition, sometimes only a few copies. Rare, dedicated to events, landmarks of history, people, anniversary or any other occasion, such a watch, unlike the products of basic collections, is not reprinted and is often the object of the collectors’ desire. We present to your attention five limited hours of Japanese and Swiss world producers. The Swiss company Edox, which since 2016 is the official watch partner of Formula 1 Sauber, has released a limited series of accessories, whose design is inspired by ring racing, impregnated with drive and the desire for speed. 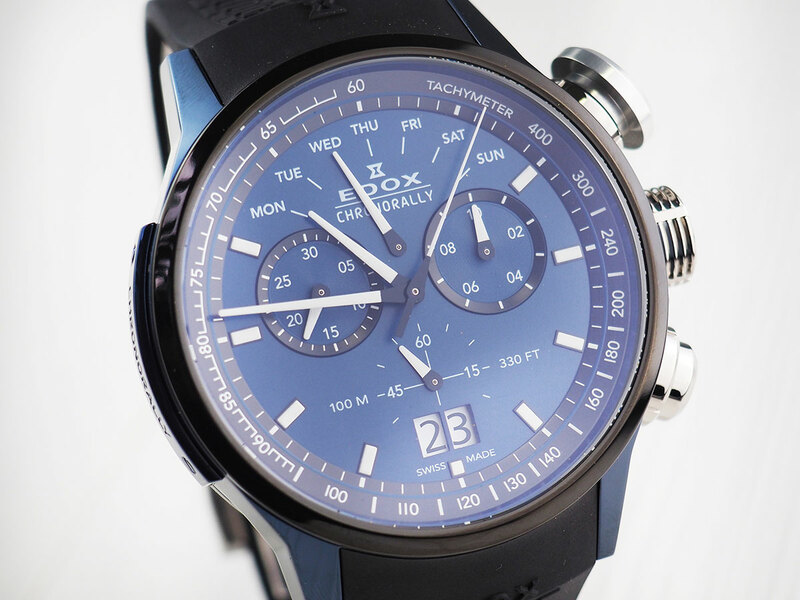 Titanium chronograph Edox Chronorally 38001-TINBU1BUIB1 with PVD-coating bright blue color is complemented by a rubber strap with a pattern – imitation of the tire treads. On the right side of the case is an impressive crown and chronograph control buttons. On the dial of the same blue hue, there is a retrograde pointer of the day of the week, chronograph indicators, a date aperture, and on the inner bezel – a tachymetric scale. The owners of the clock are waiting for another surprise – the back cover is stylized for the wheel of a racing car. 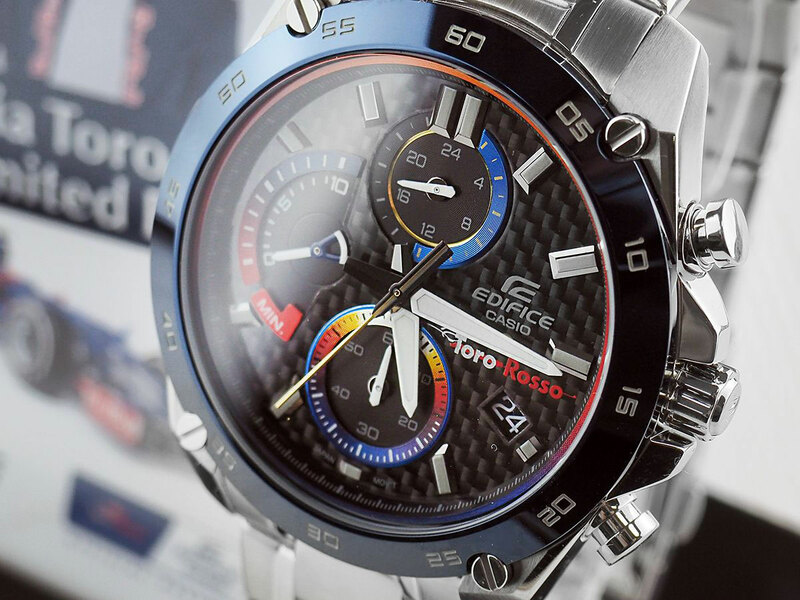 Another collaboration dedicated to the “queen of motorsport” – Casio Edifice model EFR-557TR-1A. The fourth limited edition of the Japanese manufactory was created in cooperation with the Formula 1 Championship participant – the Italian team Scuderia Toro Rosso. 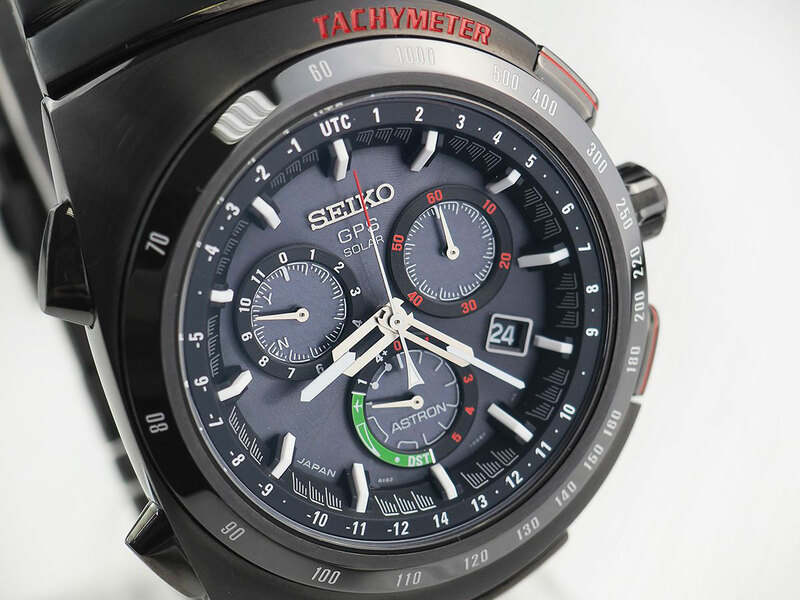 The sports chronograph combines advanced technology and a sporty, dynamic design. 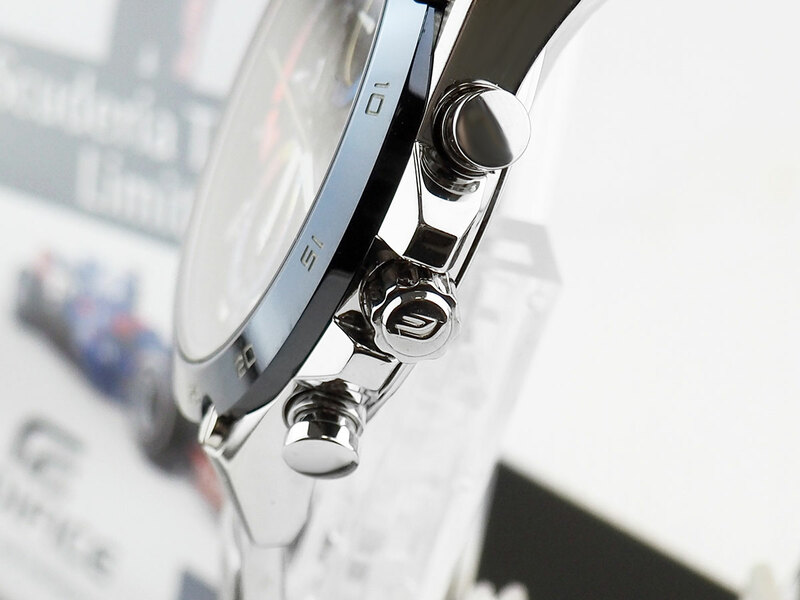 The large body of the accessory and bracelet are made of 316L stainless steel in the branded shades of the racing team. The blue bezel frames a black dial with a carbon texture, it contains chronograph counters, a date window, large markers, and arrows. The highlight of the design of the model was the use of the “rainbow effect” in the design of the rim of the dial and small displays – thanks to it, the watches acquired an interesting appearance without falling into extremes. Automotive subjects do not cease to inspire watchmakers. 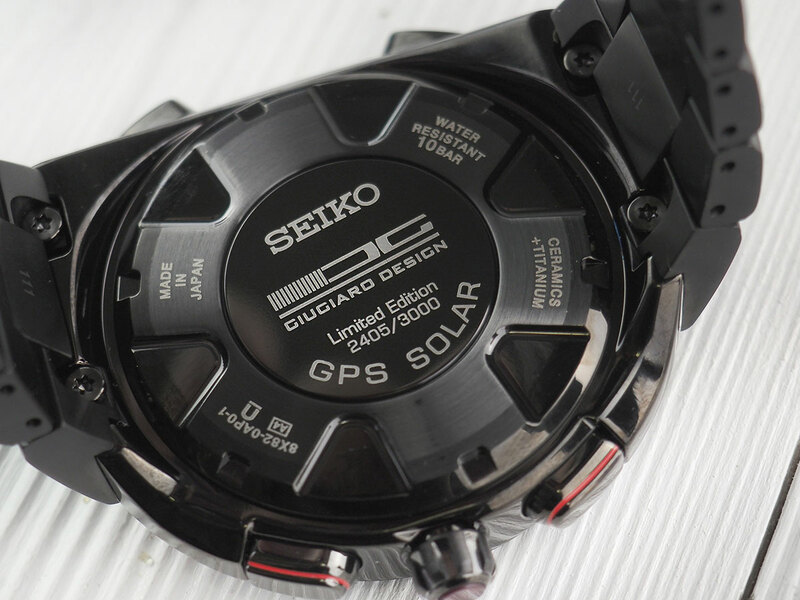 The male wrist accessory Seiko SSE121J1 is the fruit of the cooperation of the Japanese brand with the legendary Italian engineering company ItalDesign-Giugiaro SpA, which has developed a concept car concept for auto giants such as Alfa Romeo, BMW, Ferrari, Maserati, and others. The limited edition is limited to 3000 copies. The design retains the traditions of the two companies – the aerodynamics and smoothness of the lines are combined with the dynamic, sporting character of the chronograph. The watch is equipped with the advanced caliber of the Japanese manufactory 8X82 and thanks to the built-in technologies show high performance. 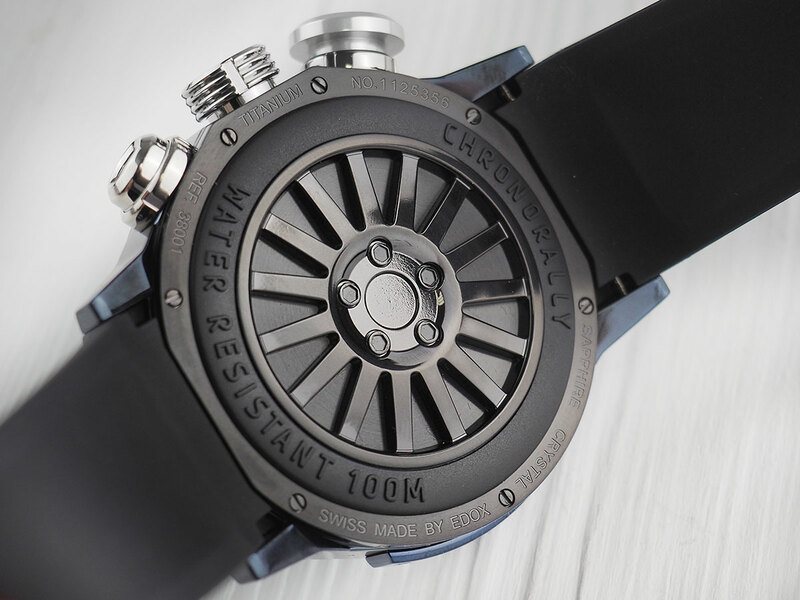 Power from the solar battery, GPS-sensor, world time function, the second time zone – these and other characteristics are enclosed in a durable titanium case with a black PVD-coating. The watch brand Earnshaw within the collection of Beagle released a limited series of watches, the dial of which is made of an iron meteorite. The cosmic body, which fell in the territory of Sweden in the place of Muonionalust about 14 thousand years ago, was discovered only in 1906. The oldest material has a high strength, so it is difficult to process, but the game is definitely worth the candle! 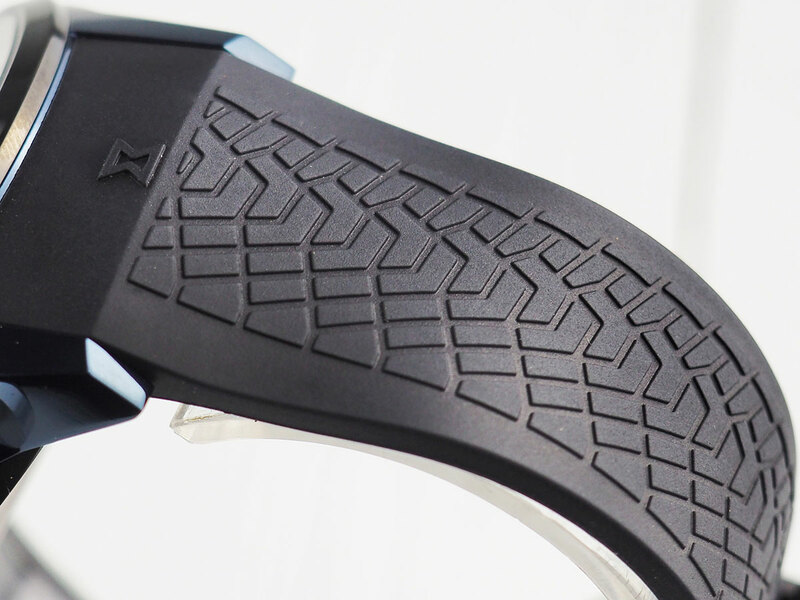 The mysterious beauty of the Windmanstatten structure fascinates, and the surface design turns each wrist accessory into a unique work of art of nature itself. 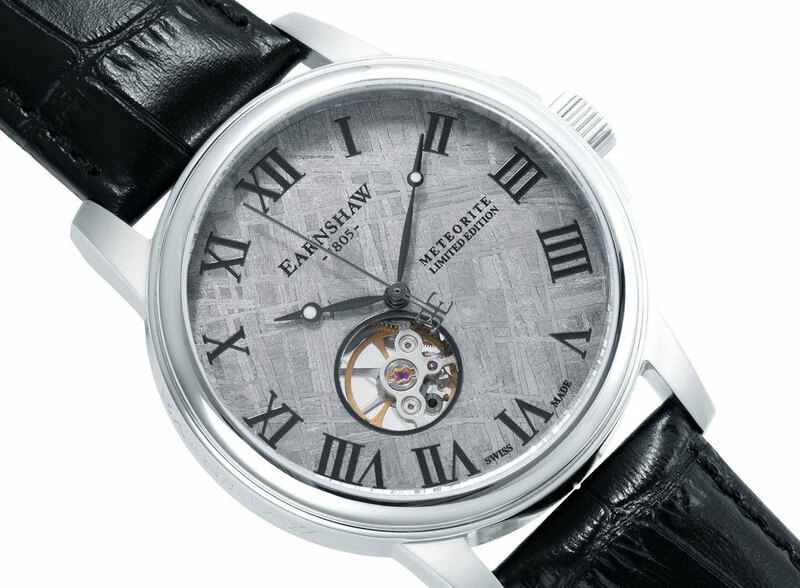 Mechanical watch Earnshaw ES-0031-01 – a rare specimen, worthy of any collection. 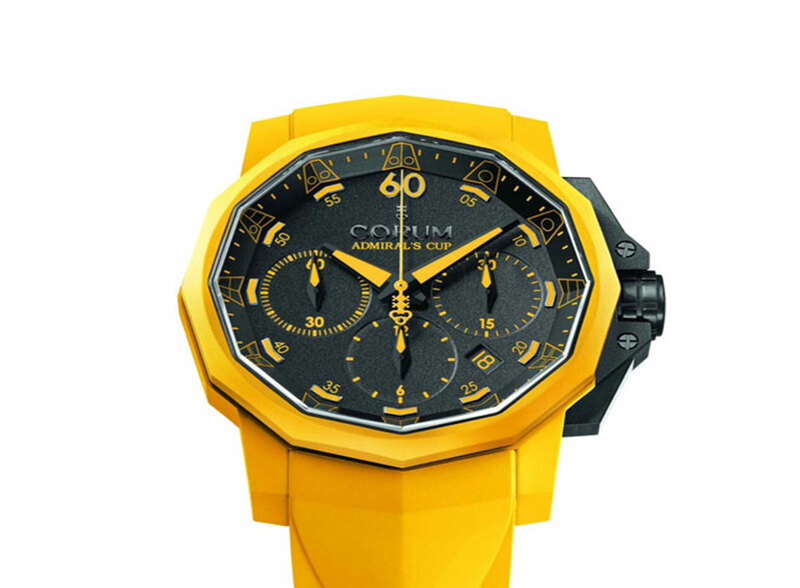 The bright yellow chronograph of the Swiss premium brand Corum was released as part of the Admiral’s Cup collection in a limited edition of 100 copies and traditionally devoted to the world of regattas and yachting. The clock retained the legendary design – a large 12-carbon case and indexes, made in the form of symbols of the international sea code while receiving a bright color design. Such experiments are not new – since 2011 Corum has already launched “color” versions, for example, in red, blue and white shades. With a similar gesture, the Swiss company is hardly pursuing the idea of changing the concept of the iconic model but instead allows fans to look at the legendary watches with the atypical side of them. For ultra-yellow mechanical watches, Corum 753.815.02 / F375-AN51 was chosen light, hypoallergic titanium, for greater strength on the surface is applied PVD-coating in black, for the strap is used natural rubber – flexible and pleasant to the touch material. 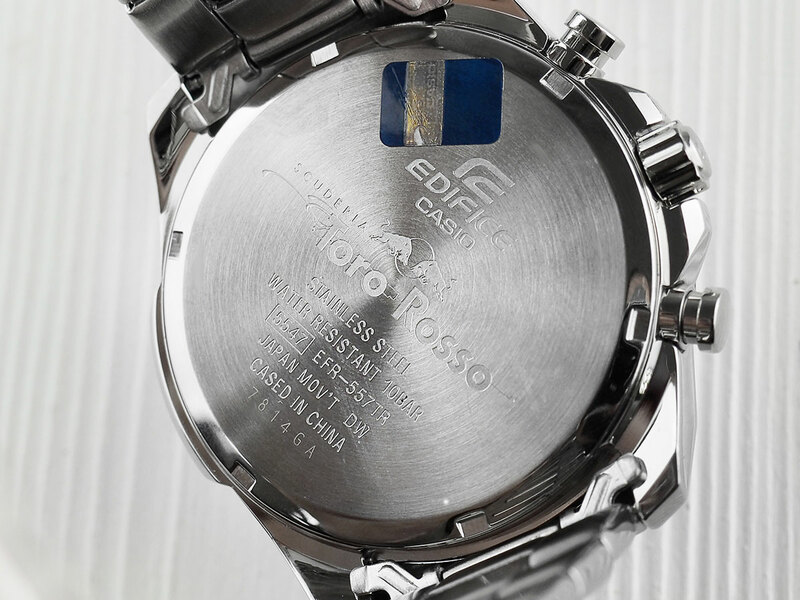 Inside, the chronograph has its own automatic caliber CO753, certified by the Swiss Institute of Chronometry (COSC), its work can be observed through the transparent back cover of the watch.